At Enterprise Fitness, we take nutrition and supplementation seriously. 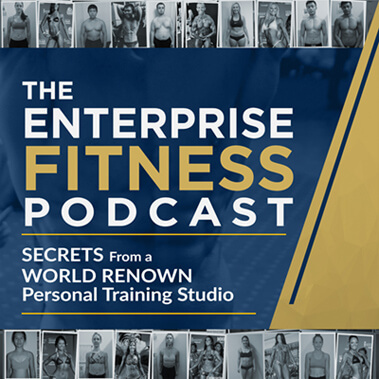 We have gone to great lengths to educate the public on nutrition from running 2-day seminars to creating a 10 set DVD set to our podcast show… So you can imagine the level of personal detail our clients receive! With any new client starting with Enterprise Fitness, the first thing to do is to accurately assess your starting point. 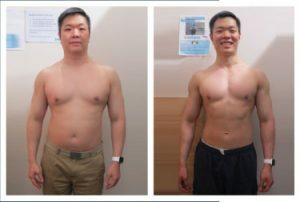 Maybe your starting at 25-30% body fat and want to lose 10-15 kilos or maybe your starting at 13% body fat and wanting to get just a ’little’ leaner and build muscle? Where ever you are right now is perfect and we can help you. In the first session we discuss your goals, measure your body fat and take your BioSignature. From here we are then able to design you a specific nutrition and supplementation protocol to ensure you maximise your results whether the goal is weight loss, strength, increase muscle or to get you ready for a comp or photo shoot. This way we can easily track your progress and results. At Enterprise Fitness, our goal is not to get you on a “diet” but rather to teach and educate you on a “lifestyle” that will not only get you the results you have always wanted- but allow you to keep those results. Through proper nutrition and supplementation, we are able to maximise your health, vitality, mood, energy and results. This service is a part of all personal training packages. If you’re not in Melbourne, you can still work with us and get the right advice to achieve your goals. 4. If you still have questions or want to speak with us personally about your goals, attend our next seminar or booking a consult . For information on the BioSignature, click here. At Enterprise Fitness, we only stock the highest quality supplements available. These brands include Poliquin and InterClinical Laboratories. Ninety per cent of people who buy supplements from us never shop anywhere else again. Why? Because our supplements produce tangible lifestyle changes, from helping you burn fat to giving you a well-rested sleep. You will notice the difference. Click here to learn more about the supplements we use. Come in today to learn more!